You’ve now come to the final stop along the 2011 Sydney Taylor Book Award blog tour, the culmination of a full week of insightful and inspiring award-winning author and illustrator interviews. The seating’s a little crowded, but we’ve saved room just for you. The energy’s high, although we know this will be a somewhat long discussion — there’s so much to talk about! The Whole Megillah (TWM): Thank you all for joining us today and congratulations on your great achievement. Let’s just dive right in. 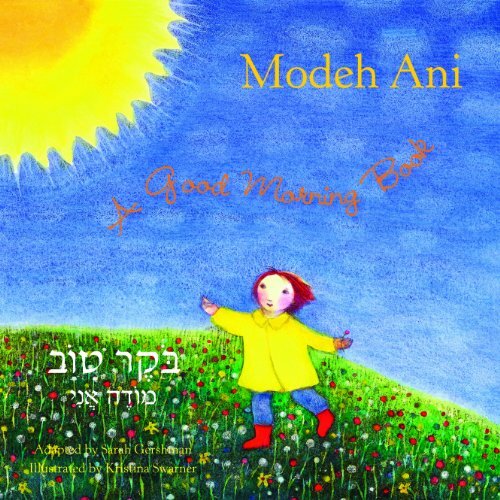 What are your recommendations for great Jewish kids lit? Sarah Darer Littman: I think we’re fortunate that there are so many wonderful, talented Jewish authors that are writing for children and young adults, and from so many different perspectives. Speaking as the mom of kids who are growing up in Jewish home but in a more secular environment, it’s so important that they are able to see themselves reflected in the books they read. I’m a complete Judy Blume fangirl for countless reasons (the one time I was standing within a foot of her I was so awestruck I couldn’t even speak) but one of them is because she wrote a book where a secular girl from the suburbs like me could have a relationship with G-d at the same time she was worrying about the usual tween stuff like increasing her bust and getting her period. My own faith doesn’t always fit neatly into prescribed boxes and I think it’s so important for kids to be able to feel like no matter what they can keep G-d as a part of their journey. The Book Thief — Markus Zusak. Possibly one of my favorite books of all time, and one that I have recommended to teens, adults, pretty much any one who will listen. I was one of many people in town who suggested it for the inaugural Greenwich Reads Together book and I’m absolutely THRILLED that it’s bringing MZ for the kick-off event in March! A Bottle in the Gaza Sea — Valerie Zenatti. I was so glad that its Sydney Taylor Award win made me aware of this beautifully written novel. It made me think, it made me cry and it gave me hope. What more can you ask for in a book? 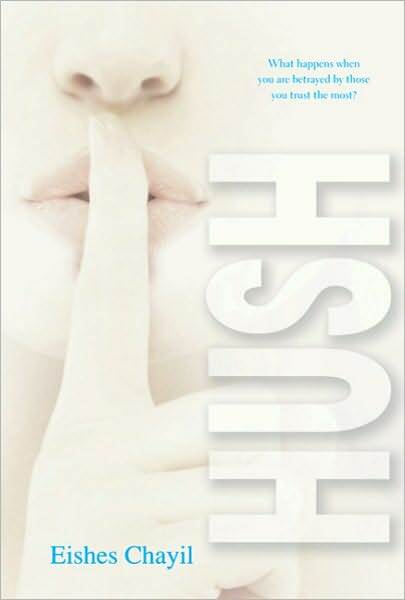 Hush — Eishes Chayil. As a victim of childhood sexual abuse, I’m incredibly grateful to the author for this novel and I’m thrilled that it’s getting so much well-deserved recognition. 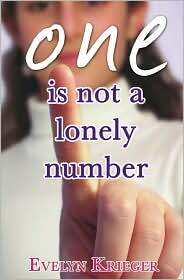 Silence benefits the abuser. As individuals and as communities we owe it to our children to stop placing the reputation of adults over their welfare. What a Brother Knows — Dana Reinhardt. I just finished this and all I can say is — Wow. I knew Dana was an immensely skilled and thoughtful writer from reading her previous novels but when I turned the final page on this one (crying) I realized she’s reached an even higher pinnacle. This sensitive examination of family relationships, friendship, post-traumatic stress and the complex, confusing dynamics of patriotism around the Iraq War is a tour-de-force. TWM: And Eishes Chayil and Dana Reinhardt are on our panel today — how fortunate! Eishes Chayil: Coming from an extremely Chassidic background, I did not read any Jewish lit written by outsiders, so my ignorance is exposed to all. The first forbidden books I read were adult ones, The Chosen, and Elie Wiesel’s Night. Powerful stuff, not so much for kids. I have a lot of catching up to do. TWM: What trends do you see coming our way? Kristina Swarner: I’ve been approached about electronic books more often lately, and have been thinking about ways to make illustrations move or interact with the readers. Even for printed books, and even though I work in traditional media, the idea of what’s possible with electronic media is amazing. I love printed books, but I’m starting to feel like there may be a whole new plane of existence for books that I haven’t even dreamed of. Dana Reinhardt: I see vampires. I see fallen angels. I see dystopian thrillers. It’s pretty hard not to see these trends if you happen to wander into any chain book store and find your way to the young adult section. It’s tough out there for writers of realistic fiction. But thanks to organizations like the Association of Jewish Libraries, sometimes these smaller books get attention and ultimately find their audience. Barbara Diamond Goldin: Right now I’m in a graduate program in Library and Information Sciences, and we’re talking a lot about the changes in publishing, and what’s happening to books. Publishing is in such flux, it’s hard to make predictions. But whether stories end up online, on nooks, iPads, in physical form, in media unimaginable, and all of the above, stories will still be read, heard, seen. We will continue to need stories to stir our imaginations, feed out souls, comfort, and inform us. Sarah Gershman: I see more of an openness to talking about G-d, particularly in books aimed at both affiliated and unaffiliated families. This has long been a topic the Jewish community has been reluctant to discuss. I see this changing. Evelyn Krieger: I’m not sure if you can call it a trend at this point, but I think we may start to see more mainstream books featuring Orthodox characters. I hope to meet multi-dimensional characters who are not at war with their Judaism. Eishes Chayil: Jewish vampire books? Chaim Potter and Elijah’s Goblet? And why not? TWM: Now, let’s talk about you. What are your next steps in your literary career? Howard Schwartz: For my first ten children’s books, such as The Diamond Tree, Next Year in Jerusalem, and The Day the Rabbi Disappeared, I drew upon Jewish folktales. For my last two children’s books, Before You Were Born and Gathering Sparks, I’ve drawn on Jewish myths and legends. The response to these books has been so favorable (considerably aided by Kristina Swarner’s wonderful art) that I’m hoping to do additional books drawing on some of the beautiful myths I discovered while editing my book Tree of Souls: The Mythology of Judaism. I believe that such myths as the one about the angel Lailah who guards a child before he or she is born, or the wonderful myth that gave birth to the idea of tikkun olam—repairing the world—that is the inspiration for Gathering Sparks, greatly enrich the Jewish lives and imaginations of our children. I first learned the story of Lailah from my mother when I was a child, and it has stayed with me all my life. We have a rich tradition which is certainly worth delving into and rediscovering, and that’s what I’d like to do next. Swarner: See my response to trends above! I’ve also been wanting to write and publish my own series of small printed books, just because I love them. Barry Deutsch: I’m so happy to be able to say, my next big project is the second Hereville book. It’ll be coming out from Abrams in late 2012. Reinhardt: I’m working on a love story between a vampire and a fallen angel set in a dystopian future. No, I’m kidding. I’m just going to keep writing the books I want to write, about subjects that interest me, and try to tell the stories as well as I can. I have a book coming out in July, a classic coming-of-age story, and I’m at work on a book for younger readers that’s meant to be pure fun, or to steal a phrase from Graham Greene, an “entertainment.” I think I needed a break from heavy after spending so much time with a psychically damaged returning soldier and his family. Linda Glaser: Writing stories with Jewish content gives me such pleasure. I’ll definitely keep doing it. On Saturday mornings I teach preschoolers at my synagogue. I love their zest for life and learning—which inspires me to write stories for that age. In my upcoming Hoppy Passover! (January 2011), the bunnies Violet and Simon are as bouncy and excited about celebrating holidays as my preschoolers. In my other upcoming picture book, Hannah’s Way, (January 2012) for elementary age children, Hannah, the only Jewish girl living in a small town in the upper Midwest in the 1930s, struggles with being different. Inspired by a true story where children are the heroes, this one grabbed me and wouldn’t let go. Claire Nivola: I don’t think of myself as having a literary career, but rather as having been lucky enough to make one book, then another, and another. I have just finished two more books with Farrar, Straus & Giroux. Orani, a composite of my childhood visits to my father’s hometown on the island of Sardinia, was a delight to write and illustrate, giving me the excuse to immerse myself once again in that happy past. The other, called Life in the Ocean, is the story of a remarkable woman, Sylvia Earle, oceanographer, explorer, and impassioned ocean advocate. Now that both projects are finished, I am facing the open road — or the empty desk — depending on how I look at it. Eishes Chayil: Getting my next book on book shelves. Always more difficult than expected. I do have, though, some rough drafts in desperate need of revision about other aspects of the chassidish world. Hopefully, enough will retain interest in that warm and strange little world I grew up in, and it will be published, too. Always a good step. Susan Lynn Meyer: Random House has given me an advance contract for a companion volume to Black Radishes, and I’m now working on it. It follows my main character, Gustave Becker, as he and his family arrive in the US from war-torn Europe in 1942. Gustave struggles to come to terms with the difficulties of life in America — his family’s poverty, the new culture, the loss of his French identity, and the strange language — and the ways in which America fails to live up to his expectations, when he discovers that it is not completely a world in which “all men are created equal.” The provisional title for the novel is Green and Unripe Fruit — which comes from an odd and intriguing French expression — but that may change. TWM: What advice do you have for Jewish children’s book writers? Illustrators? Deutsch: Work a lot. It takes luck to be able to do this for a living, but you won’t get lucky unless you first put yourself in a position where you can get lucky. And the way you do that is to be productive. Eishes Chayil: It’s the same advice one gives to Gentile writers. Just keep writing and writing, and one day little (Jewish) children everywhere will be grateful. And if not — it isn’t your fault. Goldin: Read what’s out there. Write what you know and what you have a passion for. 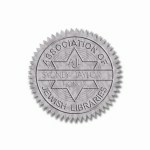 Organizations like the Society of Children’s Book Writers and Illustrators, and the Association of Jewish Libraries, listservs, conferences, etc. give great support and feedback for writers. Network at conferences, learn tips from others, stay open. Join a writers group. I get supportive and constructive feedback from my writing group, and learn a lot about the writing and critiquing process. Write every day even if it’s just for fifteen minutes. This keeps your mind working on your writing even while you’re in the shower, dreaming, walking. I keep tablets everywhere to jot down notes that come to me when I’m not at my computer. If I leave my writing for a few days or a week, I feel like I’m starting over when I do pick it up. Enjoy the process! Gershman: Make each word count. Many of the best children’s books read like poetry, using tight, distilled language. Read Inside Picture Books, by Ellen Handler Spitz. Spitz explores what makes the classic picture books just that — classics. Carla Jablonski: My advice for Jewish children’s book writers (or writers of books with Jewish themes) is the same advice I would give to any writer: write what you care about. This is as true for the goofiest comedy as it is for the most gripping adventure yarn or quiet, thoughtful character study. For one thing, it’s that passion that will help you get through the long hours alone at your computer (or with your notebook). It will also help your imagination create compelling circumstances to put your characters in and compelling characters to fit your circumstances. Krieger: As a parent and teacher, I am always looking for great Jewish books for kids. I’d love to read an original middle-grade book with a Chanukah theme, one that doesn’t center around anti-Semitism or Christmas envy. While there are many wonderful and compelling books on the Holocaust, I hope writers will give us more stories that bring every day Jewish life onto center stage. Humor would be great! The Jewish world is diverse. Strive to stake out new territory in your writing and illustrating. Littman: When I was a teen (according to my 14-year-old, this was sometime in the Cretaceous Period), if you wanted to read about a Jewish girl you could read The Diary of Anne Frank (which I did, obsessively, over and over), the All-of-a-Kind Family books, or you had to go to adult books like Mila 18 or Exodus (which I also read over and over, particularly Mila 18). That’s why Judy Blume’s Are you there G-d, It’s me, Margaret? was such a revelation. Margaret wasn’t in imminent danger of being killed by the Nazis. She wasn’t old fashioned. She was Just. Like. Us. I remember standing around with a group of girls at Hebrew School in London circa 1973 doing the “We must, We must, We must increase our Bust” chant during our break. Teens might have more technology, but chances are, they’re experiencing a lot of the same emotions we experienced as teens. As a writer of contemporary YA fiction, I want kids to be able to relate to the characters in my novels. Realistically, for Conservative and Reform Jews that means that their grandparents are going to be more hip and less old-fashioned Bubbe and Zayde-like. I mean, they might still CALL her Bubbe, but OMG! she might be on FACEBOOK! So my advice would be to think beyond the shtetl — unless of course, you’re writing about the shtetl. 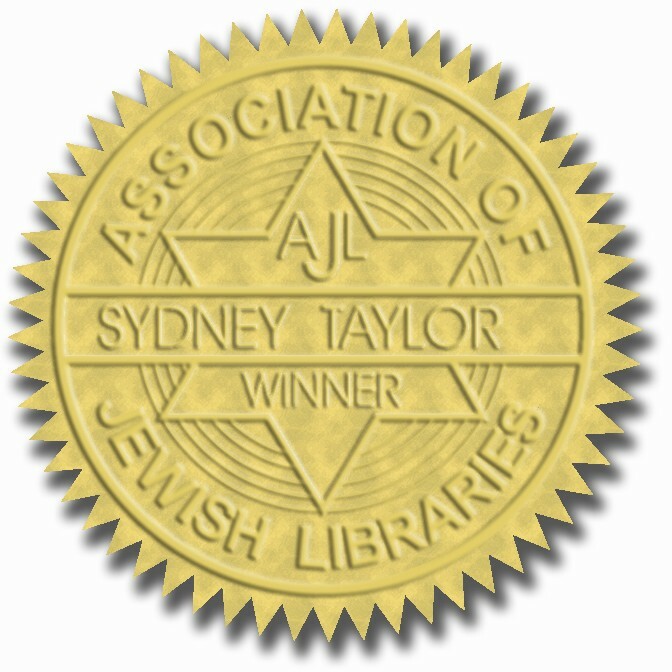 TWM: We’ll wrap things up with one final question: Will anything be different now that your work has been recognized by the Sydney Taylor Book Award? Schwartz: My first children’s book, The Diamond Tree, won the Sydney Taylor Book Award in 1992. It was a thrill to win this top award again for my twelfth children’s book, Gathering Sparks. Since a lot of children’s books are published each year, an award such as this one draws attention to the book that it probably wouldn’t otherwise receive. I will be honest here and say that despite having published a dozen children’s books, it’s still not easy to get published. Each book that ends up being published is a miracle, one that I greatly appreciate. If this award makes it a little easier to publish children’s books in the future, that would be be very good news. Swarner: It makes me so happy that the books I illustrate resonate with so many people. Getting the Sydney Taylor Book Award for the second time reinforces that, and is very inspiring. Jablonski: Not on my part as a writer. But I am hoping it will prove to publishers that historical fiction (which I love to write and love to read) is a great category for kids! TWM: From your mouth to G-d’s ear! Glaser: I feel honored to have Emma’s Poem recognized. I hope that with this added recognition, all my books with Jewish content will reach more children. Having this round table blog is a new and welcomed opportunity! I look forward to more chances to connect with readers in the Jewish book world. TWM: Eishes, any final words? Eishes Chayil: An award like this always gives one’s book the attention and audience so important to an author’s need. I feel honored to have been recognized and am certain that only good things will come out of it. Thank you. The Whole Megillah thanks each of you for participating in this roundtable discussion. Readers, please check out the preceding blog tour and get to know these winners and their works even better — their techniques, their approaches, their inspirations. And thanks to all the wonderful bloggers who volunteered their time and space to interview these Sydney Taylor Book Award winners. This entry was posted in Authors, Contests and tagged Association of Jewish Libraries, Barbara Diamond Goldin, Barry Deutsch, Black Radishes, Cakes and Miracles, Carla Jablonski, Claire Nivola, Dana Reinhardt, Eishes Chayil, Emma's Poem, Evelyn Krieger, Gathering Sparks, Hereville, How Mirka Got Her Sword, Howard Schwartz, Hush, Jaime Zollars, Kristina Swarner, Leland Purvis, Life After, Linda Glaser, Modeh Ani, Morris Gleitzman, Once, One Is Not a Lonely Number, Resistance, Sarah Darer Littman, Sarah Gershman, SCBWI, Susan Lynn Meyer, Sydney Taylor Book Award blog tour, Sydney Taylor Book Award winners, Sydney Taylor Honor Books, The Things a Brother Knows. Bookmark the permalink. Barbara! What a treat this was to read! Thank you for such an informative interview and for all of the work you put into making the blog tour so enjoyable! It was such a thrill for me to be incuded as a stop on the Sydney Taylor Award Blog Tour! Reading Black Radishes and “meeting” Susan Meyer was an awesome experience. I’ve had a crazy week so haven’t kept up on each stop of the tour as I intended but I will come back around and comment to let you know I’ve been there. This roundtable makes me want to meet you all the more! Thanks Barbara for hosting it (great questions!). And congrats to each of you on your storytelling successes! The round table was just the perfect way to bring closure to a week of great interviews. Thanks so much!!! After all, Hereville : How Mirka Got Her Sword – a mixture of fantasy and Chasidishe life – not only has been published, but even won the Sydney Taylor Award. If the sequel shows Mirka deciding to become a Hasidic goth girl, though, I’ll be shocked and disappointed. That title reminds me of the title of a different YA book about Jewish immigrants – The Greenies by Myra Paperny (2005). In this case, the country of emigration is Canada and “greeneh” is a Yiddish word to describe a new immigrant, someone who doesn’t know how life works in the new country and who is often embarrassed by the impolite reaction of native-born citizens. “Die Grine Kusine” was a popular Yiddish song. I think it was written by some relative of my grandfather. I’ve not heard of The Greenies – I’ll have to check that out. Thanks! Steven and Barbara, thanks so much for those comments about the title “Green and Unripe Fruit.” This is just my working title, and it may not be the one my editor and I finally decide on (along with the marketing experts)–we actually went back and forth quite a lot about Black Radishes as a title, because the team wasn’t at all sure it would have shelf appeal, but in the end it just fit the book so well, I guess, and people liked its unusual quality, so I was able to stick with it. But I hadn’t at all thought of the “greeneh/greenhorn” resonances of my new title, and I am SO grateful–you are really helping my thoughts swirl around today. And I’m going to go read The Greenies right away. The title “Green and Unripe Fruit” actually comes from an odd French expression which I find really intriguing–I heard it first in the sentence, said of a woman’s husband, “he makes her see green and unripe [fruit]”–which meant, he gives her a lot of trouble. In America, Gustave and his family are poor and face lots of difficulties, and the expression represents their disillusionment with America in some ways. But I liked the way it contains the possibility of improvement, because green fruit eventually ripens. But I love what you say about the connection with “greeneh,” and I’m going to think a lot about that! Thank you so much! Hi Barbara and all you fabulous authors! What a treat to read such insightful thoughts about Jewish children’s books. I am hoping to meet a lot of you at the Montreal AJL convention. Thanks! I plan to be in Montreal!